I am having SO MUCH fun reading this book on the making of the Indiana Jones movies. 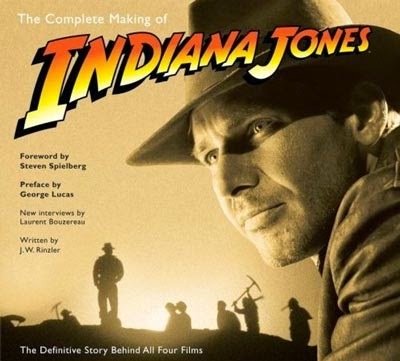 And it's called--- "The Complete Making of Indiana Jones". Ha. Honestly though, I'm just having the time of my life reading it. It's so in-depth, giving in great detail what it was like on a daily basis making the movies, working with different people, how they bounced ideas off each other and brainstormed solutions. Especially the crisis of making the ghosts in the climax of the first movie. I'm at the chapter where they're now beginning the process for the next movie, and I'm just eager to see how some things changed, or didn't change, as the crew/cast went through the years building up the franchise. 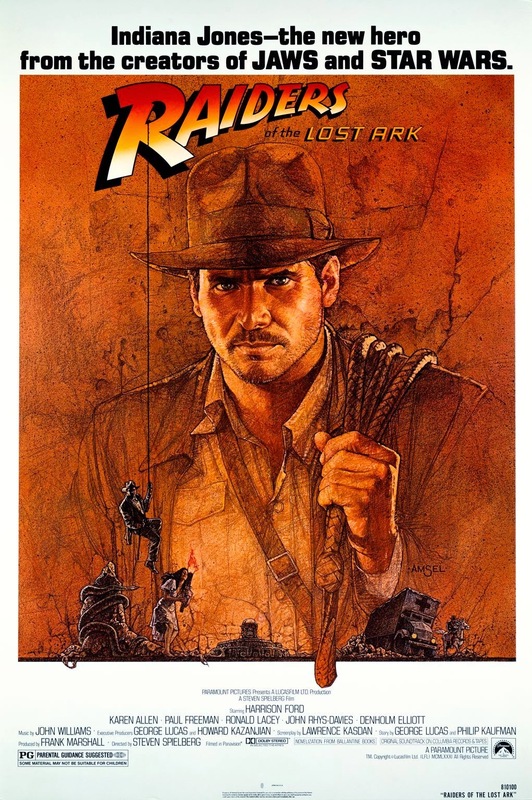 Because honestly--who doesn't love Indiana Jones? It was only a few years ago, after years of writing, that I realized how much I'd love getting into the film industry. Film combines my best loves--writing, visual storytelling, and music. To say nothing the awesome, if exhaustive, process behind the scenes that is the product of creative minds brainstorming and ever pushing the mark. I have gotten so tired of a lot of the things I've been pursuing, because they've been chaining me to my desk (and I won't make excuses, it was my decision completely) and keeping me from things that are my real loves. Like my writing. You get to a point ( and any creative person will know exactly what I'm talking about) where you're so swallowed up by other things that your creative lifeblood feels like it's being effectively suffocated to death. Since then I've just pruned some of the time I've been spending elsewhere, and been spending about an hour a day on my creative pursuits. I can tell you I feel incredibly better. Since then I've also made the complete decision to cut off the network marketing--I realized that it did not fit with my strengths, and I didn't have the passion needed to really make it work. My love is for other things. And forcing it into something else, even if it made money for me in the end (which it didn't, but heaven knows I haven't been doing it long) just isn't common sense. I joined this network marketing gig simply because I wanted to make money at the moment, find a different way of doing it. But I don't want to make my business sitting at my desk and doing this, doing that. Some people can make it work, while only working an hour a day, or so--for me it wasn't working. Perhaps I just don't have the necessary readers at the moment. In the end, I really don't care, because I did benefit by learning some new things that I CAN apply to the things I truly want to share. I took something from it in the end, but I reached the point where I realized I needed to cut it off, and return to my first love. It's been deliciously warm and sunny out lately, and so I've been spending my freetime out in the glorious sun, engrossed in the antics of the making of the Indiana Jones films, feeling more present and satisfied than I have been for a long time. I have the blessing of having a new job, and I'm looking at how I much I can set aside for film school, and basic things I'll need along the way. I can't wait to see where 2015 takes me! In the meantime, I'm reveling in the cinematic glory of StarWars: A New Hope. I'm in the mood for the greats. And I'm enjoying myself. Thank God I returned to what I loved. Never felt better. My only regret is that none of my buddies are around to enjoy the movie with me right now! If you enjoyed this post please comment, and share on social media! To catch more posts, you can subscribe via email, on my sidebar. You can also follow on facebook, google+, and bloglovin!